Luke is from Coal City, Illinois. He enlisted in the Navy as an Aviation Electrician&#039;s Mate (AE) in 2009. He served overseas in Japan at HSL/HSM-51 from 2010-2014, then served on shore in San Diego at HSC-3 from 2014-2015, where he completed his military career as a Petty Officer 2nd Class. He graduated with highest honors from Post University, completing his A.S. in Accounting. He is a member of the Phi Theta Kappa Honors Society. He is currently completing his B.S. in Industrial and Labor Relations at Cornell University, and double minoring in Business and the History of Capitalism. Luke is actively engaged in student-Veteran advocacy efforts. 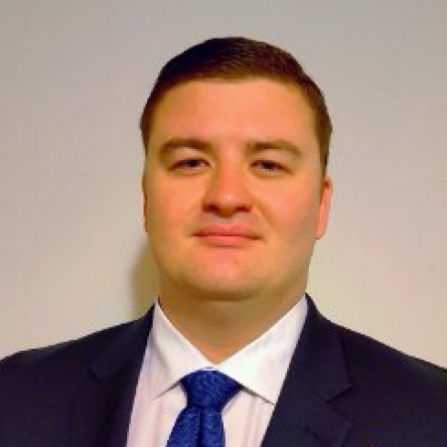 He is the Founder of Cornell University’s Student Veterans of America Chapter and is the President of the Cornell Undergraduate Veterans Association. He is also the President of the Ivy League Veterans Council, and a Program Coordinator for the Warrior-Scholar Project. Upon graduation, Luke plans to continue his studies in a dual JD/MBA program.